Buyer’s Guide: What Will Your Production Require? The following steps will help you identify your minimum equipment requirements based on the job(s) you will be running. 1. What parts do you need? For this step, you’ll need your bill of materials (BOM) for each product you’ll be assembling on the pick and place machine. Your BOM provides information critical to helping you calculate placement rate requirement, feeder type and number requirements, and the component placement capabilities your new machine will need to have. Total placements on the PCB. You’ll need this in step four. Component package sizes. In step two, you’ll use this to information to identify the feeder sizes, types and slots you’ll require. Total amount of unique components. Each component type will require its own feeder. The number of unique components will give you an idea of how many feeders your job will require—and will help you determine the feeder slots you’ll need available on a machine, in step two. Largest component, smallest component and fine pitch requirement. While you’re there, are there any special components your machine will need to have capabilities for? Odd form? BGA? CSP? If you have more than one product to spec, you should create a spreadsheet for this step that tells you all of the above information for each product. Make a master list of component types that are used throughout all of your products so that you know the total amount of unique components for your workload. 2. What feeders will you need? Using the component package sizes from the BOM, mark down how each package will be delivered: tape? stick or tube? waffle or matrix tray? If components are delivered on tape, what is the tape width? Make a note of how many tape feeders you’ll need of each width. How many stick/tubes will you have? You’ll use this information on the next page to determine how many feeder slots you’ll need available on your machine, based on how many feeder slots the manufacturer says each feeder type will use up. 3. How much board room do you need? This one is easy. 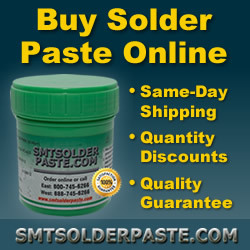 For each product, note the board or panel dimensions: length, width and thickness. You’ll need to know the minimum and maximum board area your job(s) requires. 4. What kind of speed do you need? If you are speccing a single product, our handy CPH (components per hour) calculator can tell you the CPH rating your pick and place equipment will have to meet. Simply enter the total number of placements per PCB and the number of PCBs you need to assemble per year (“annual PCB requirement”). If you will be assembling multiple products on your machine, you will want to come up with an average number of placements per PCB and the total number of PCBs to be assembled across all of your products. (For instance, if you are building 1,000 PCBs with 50 placements each and 2,500 PCBs with 30 placements each, you want to enter 40 for the number of placements per PCB and 3,500 for the annual PCB requirement. NEXT: How Many Feeder Slots Will You Need? 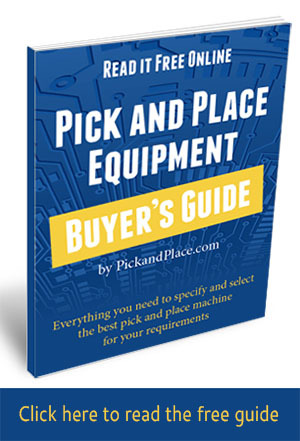 This article is a part of the Pick & Place Equipment Buyer’s Guide.